I can’t sleep because I lost control with my 2nd academic class yesterday. 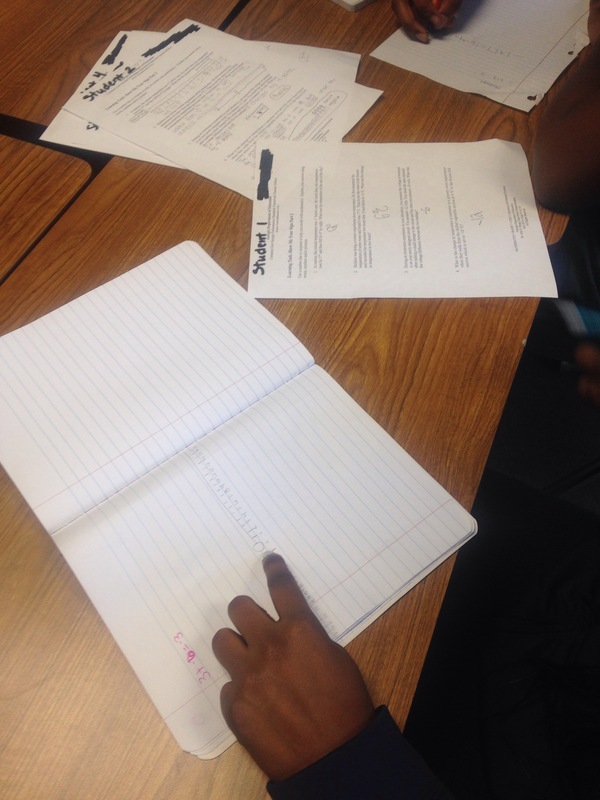 This class has had the most difficult time adjusting to the environment I am trying to establish in my math class. Even after setting expectations and routines, they still struggled tremendously working independently as table groups and small groups based on ability. I’ve tried positive reinforcements, complimenting those students who were meeting the expectation, I’ve restated expectations with each next step. We’ve even started a compliment chain in which the students will receive a treat if they earn enough compliments to make the chain reach the floor. These are all tactics which have been proven effective in the past and with my other classes, but for 2nd academic not so much. So today I lost it. I raised my voice at them in frustration and with the fear of failing. It was probably for 1 solid minute that I went on my rant about how I had had it. Of course compliance followed. But I don’t want compliance, I want these kids to be excited about the opportunity to think, the freedom to do math their way and level of engagement created by doing hands on math activities. Before class ended, I apologized to them. I let them know it wasn’t okay for me to talk to them like that. I emailed their parents to let them know what I had done. But here I am up since 4am, when I don’t need to awake until 6:30am. I’m pondering ways to reach these students. After reading @turtletoms comment to my Voices Carry post, discussing logical consequences vs punishment I’ve decided I’m going to use logical consequences. I plan on rearranging seating arrangements. In the email sent to parents yesterday, I encouraged them to come and visit the classroom. I want the students to know, their parents and I collectively care about their success and understanding in math this year. But that’s where I am stuck. I’m open for suggestions. With a group of students not used to freedom, how have you been able to instill in them the desire to want more for themselves. So I developed a rubric using the language of the SMPs my students determined. I had to get grades in the grade book which prompted me to use the rubric before receiving any feedback on it. Let me tell you people, receiving feedback when your back is against the wall doesn’t feel good AT ALL. Feedback which would normally empower you now makes you feel inadequate. I’m currently on the fourth draft of my butterfly Task Rubric. After showing my students the video above, we discussed what they noticed within the video. Are all comments that came up in all four classes. This was followed by discussing our classroom expectation which is our task rubric. Students scored sample student work and provided feedback telling the student what they needed to do in order better meet the expectation. 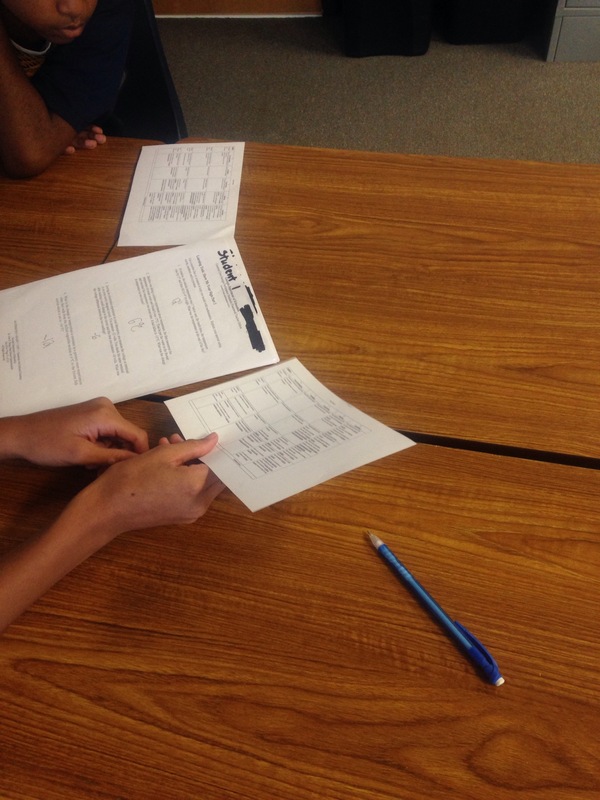 To summarize this activity, students compared their own task to the rubric. They were able to ask their shoulder partners for feedback on ways to improve. I provided them with the option to add more to their task or leave it as is. I had my students interpret the Standards for Mathematical Practice. What they came up with is better than some I’ve seen teachers produce in PLs I’ve conducted in the past. Now the SMPs are something I can reference and know my students will understand to what I am referring. 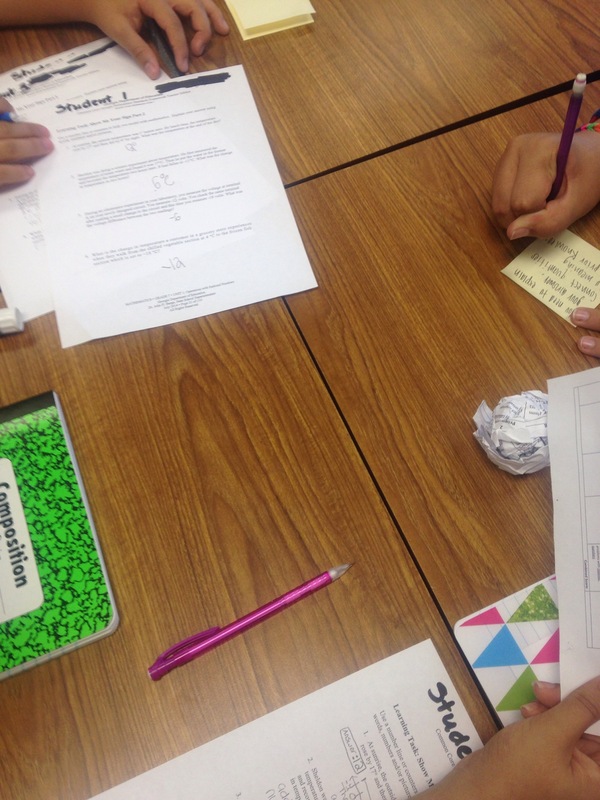 After discussing standards 1-4, I had my students engage in Comparing Temperatures from Illustrative Mathematics. 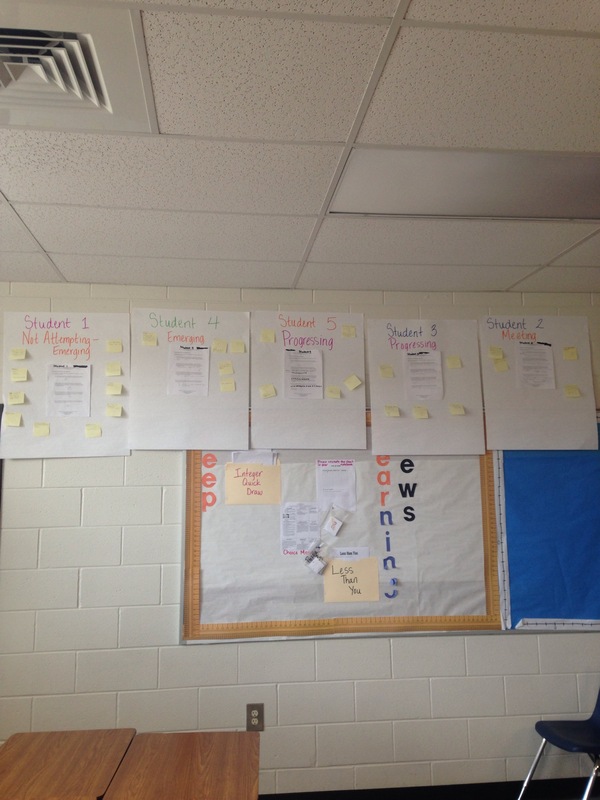 Students had to determine which of the 4 standards were evident while they were completing the task. So not only were they aware of the SMPs but also they now knew what those standards looked like in action. 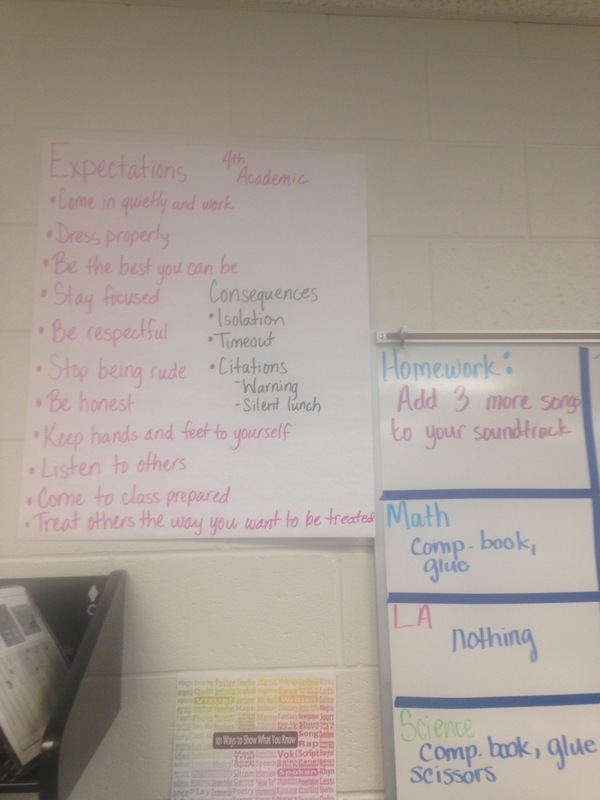 In my blog post, SMPs According to 7th Graders, I share a few examples of their interpretations. Next steps will be, posting the SMPs in the language developed by the students on an anchor chart and using their language to develop a rubric in which we use the SMPs to score math tasks. I remember when I was a teenager all I wanted to do was buck the system. I wanted to have things my way and do things my own way. The desire for any sense of freedom fueled me to voice an opinion that wasn’t inquired. As the 1st day approached, I decided I wanted to give my students the opportunity to have a voice within our classroom. 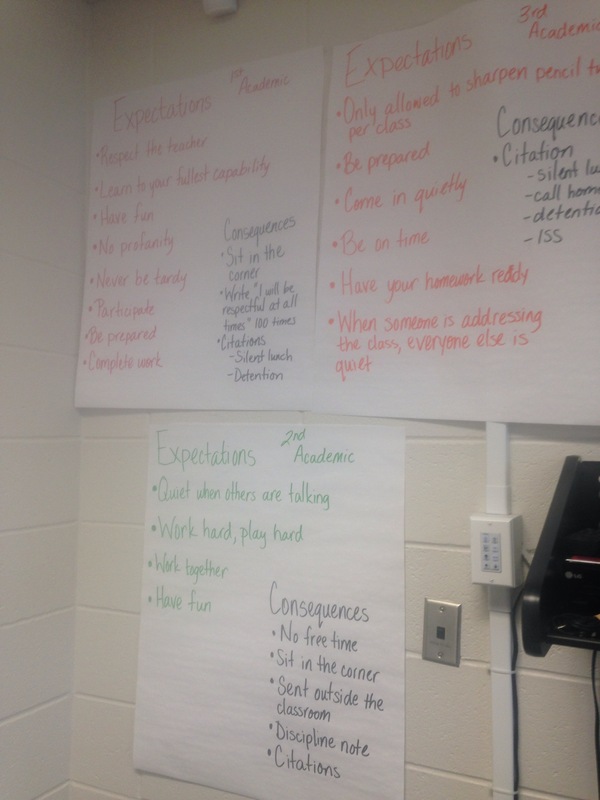 When asked what they felt should be our classroom expectations here’s what they came up with.